Airlines who force passengers to check their bags at the gate should pay out an automatic $500 to those affected. Since that’s not the case, we have another option. 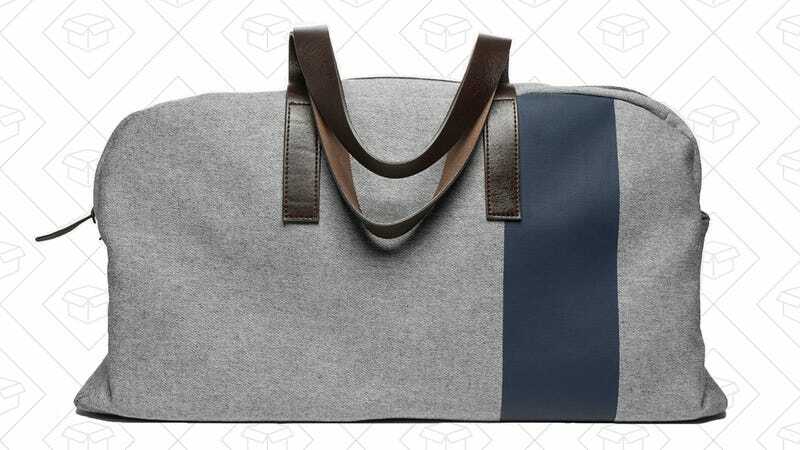 Everlane’s $98 Weekender is a stylish, durable, reasonably-priced, water-resistant bag that definitely fits in that overhead compartment. It sports real leather, twill fabrication, and gunmetal feet, and should still hold enough clothes for, ahem, a weekend.